Father’s Day is right around the corner and there’s no better place to celebrate dad than on the Central Coast! Everyone has special traditions for Father’s Day, from a fancy brunch at a delicious new restaurant to breakfast in bed to show dad how much you love him. If you’ll be spending this Father’s Day on the beautiful Central Coast of California, consider trying out an up and coming activity: beer tasting! With a wide variety of craft breweries right here on the Central Coast and tons of tours to teach you about the interesting brewing process, this is a fun and unique way to show dad some love and spend quality time with your loved ones. Treat dad to something truly special with a day of beer tasting and gift card to a beautiful Central Coast hotel! He will be stunned at this amazing gesture, providing a day of fun and relaxing accommodations the whole family with love. 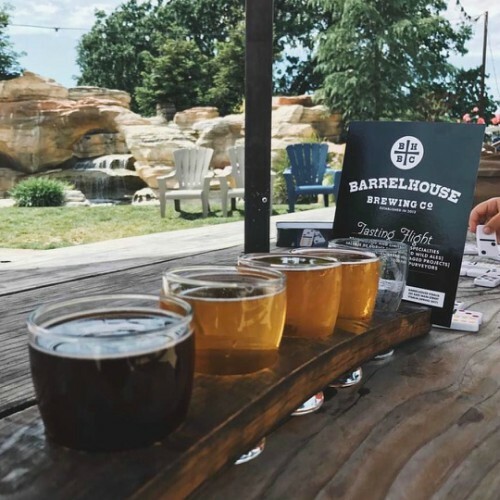 Follow this beer tasting itinerary for your Father’s Day fun adventure! Although a day of beer tasting may sound like it requires a lot of planning, it can actually be fairly easy with the help of the many Central Coast transportation options. Companies like Hop on Beer Tours offer tons of tour options and have in-house experts to help you plan your perfect beer tasting day. Renting a small car or bus is the recommended method of transportation so you can safely arrive at every destination and even enjoy some fun tunes and dancing along the way. Choose where you’d like to visit, Paso Robles or San Luis Obispo, or even craft your own private tour to choose all your favorite breweries to visit. 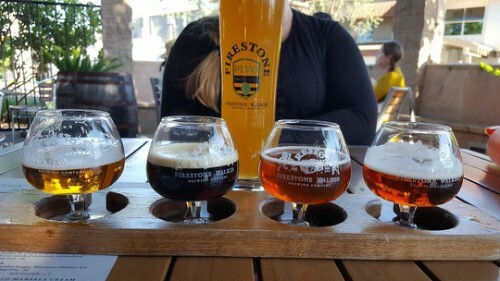 The Paso Robles Tour visits Firestone, Barrelhouse, and Dunbar breweries. The San Luis Obispo tour will visit Central Coast Brewing, Tap It, Bang the Drum, and more! Each tour offers something different and allows you to immerse yourself into the culture, history, and process of each brewery. The day is finally here! Head out before your personal bus arrives and grab some sandwiches to pack an easy and convenient lunch you can eat during your travels. 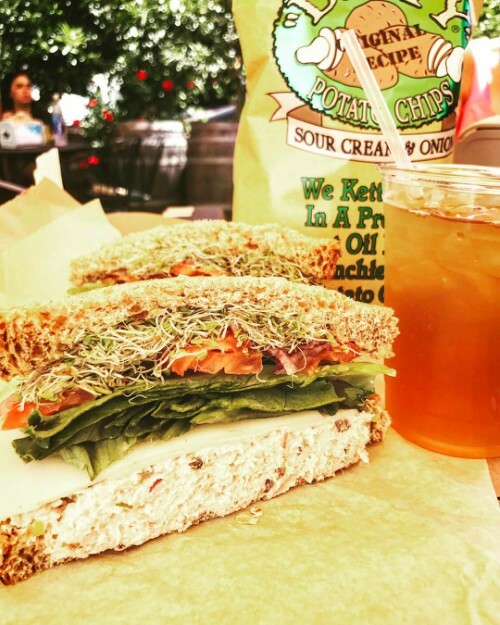 Packing a lunch is a great way to utilize the many beautiful spots located at these breweries and make sure you’re fueled up for the long day ahead. We like making a whole picnic out it by bringing our sandwiches, a blanket, and purchasing some of our favorite brews to be enjoyed! You’ll have so much fun driving around the Central Coast and experiencing the famous breweries that call this amazing region home. Make sure to grab your AUX cord and some tunes so you can dance around between each stop and enjoy the beautiful scenery. You can even purchase brews at each stop to be enjoyed while you drive around! Don’t be afraid to ask questions and get involved during each tour! The guides are have a wide and expansive knowledge of not just their own process and beers, but the business of craft brewing in general. You can learn so much about the craft brewing industry and how to figure out what your favorite types of brews are. After your long day of beer tasting, you’re going to want to relax and retreat to a comfortable space to decompress. There are tons of Central Coast accommodations that can provide you with unbeatable ocean views, like the Inn at the Cove, Avila Lighthouse Suites, and Shore Cliff Hotel. There’s even hotels like Pismo Lighthouse Suites that have fun on-property features like play deck with expansive ocean views! If you’re looking to immerse yourself in the history and culture of Paso Robles, the Paso Robles Inn is located right in the heart of the downtown square, so you’re just a walk away from all of the area’s best dining and tasting room options. Show your love for dad by purchasing an eGift card to one of these beautiful accommodations, and even get something for yourself in return! With every $200 purchase, you’ll receive a $25 eGift card in return!